GOOD MORNING, SUNDAY, MAY 5, 2013 – AN AMAZING PHOTO! I signed into facebook this morning to find this absolutely astounding photo greeting me. It was made by Kari Palmgren. Standing in her garden this morning in the small town of Halden, in southern Norway, the photo depicts Heaven’s Good Morning greeting to her. WOW! What a reminder that we are not alone! LOVE IS ALL THAT IS! ALL ELSE IS ILLUSION & PASSING AWAY! 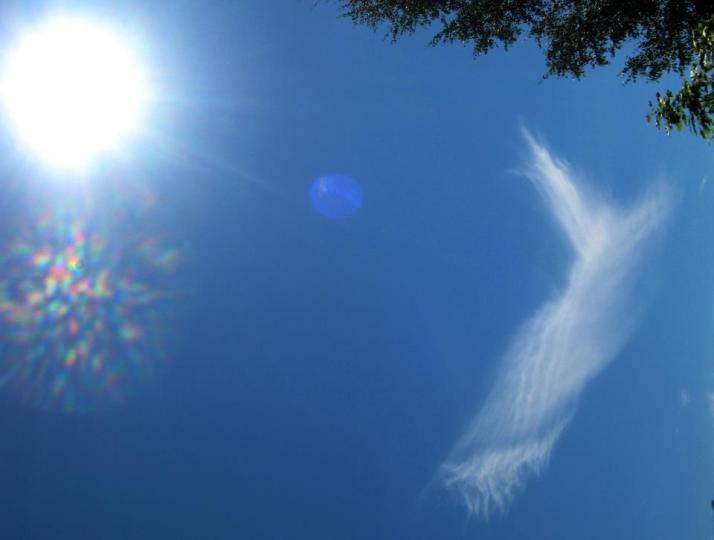 Filed under: Angels, Love |	Comments Off on GOOD MORNING, SUNDAY, MAY 5, 2013 – AN AMAZING PHOTO! A friend of my sister’s asked her to write a poem to be included in the bulletin for her husband’s recent Celebration of Life. She also wanted a poem for a Grandfather. I post these poems and dedicate them to all whose spouse and grandfather have recently returned to spirit. to behold your coming…together once again. Strong hands guiding me as I reel in my first catch! Move your hand down against the scales…they are sharp you see. 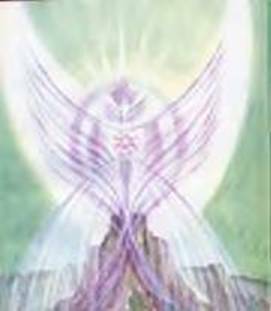 CHANNELING FROM ARCHANGEL METATRON PRESENTED TO THE UNITED NATIONS S.E.A,T. It was an auspicious day when we arrived in New York City to bring the message & wisdom of Archangel Metatron to the United Nations group. In little over a week, we would be in Britain, and New York would be shaken by a rare earthquake and washed in the winds of a hurricane. But August 19th was a magnificent summer day, resplendent with blue skies and a golden beaming sun. The UN Staff had de-briefed us on security detail and entry protocol. We were ready. This was not our standard fashion of presenting Metatron, and the unique energy of the honor and event filled us with anticipation. We had been given permission to bring a few guests, and were joined by Linda Roebuck, Angie Carter, Lilia Phelps, Vikki Lazaro, Mary Adele, Barbara Longue, Rebecca Sellers, Sue Anne Armstrong and Sibtain Rahim. We were met outside the UN complex and greeted graciously by UN SEAT staff, and presented with a stunning arrangement of flowers. We then were escorted through the security facilities where we needed to pass through metal detectors, under the thorough gaze of uniformed United Nations security officers. Anne and I were excited and humbled with the honor of this invitation, and amazed at how Archangel Metatron had somehow orchestrated such a marvelous opportunity as this. Anne and I paused for a moment and understood that we were representing Earth-Keepers around the globe in perhaps the only venue that would ever enable & allow governments to speak together of such things as spiritual enlightenment and the quantum physics of multi-dimensionality. And Metatron is about the science of Spirit, the physics of metaphysics. The moment was very significant to us both. It had been a long journey, and not always an easy one. Although I had recently retired in 2009 from 33 years as a professional geological-Engineer, metaphysics has always been my passion, and I had studied intensely for 35 years. 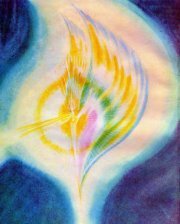 I began channeling Metatron in 2007, and he had foretold of this day, and it’s manifestation had an enormous effect on both of us. We passed the Security Council chambers and the large popular General Assembly meeting room. Scheduled to begin at precisely 1:15 , we were to end within 90 minutes. It was a rigid agenda, with much to cover in a short span of time. The Metatronic teachings were presented, and as time approached for our ending channel, our allotment was extended. We remained 3 hours and finished with a channel. We were told this was the longest session the S.E.A.T had ever allowed. As ‘chance’ would have it, the meeting scheduled to take place in our conference room after our 90 minutes, had been rescheduled, but then again there are no accidents…only Cosmic Winks! Both Anne and I were feeling the powerful & beautiful presence of the Metatronic entourage, of Spirit in a way that we had not previously experienced. Something very profound was happening, and it felt right. This was in many ways the “confirmation” that Metatron had told us about so many times. Somehow this day at the UN helped me gain greater understanding in the global acceptance of what we do, and I am humbled and deeply thankful for that. As we ended the meeting, several people from Russia and the Ukraine approached and ask me to sign their books. I was surprised to see for the first time copies of one of Metatron’s books in Russian. It had been published in the Ukraine the year prior, and was apparently responsible for igniting the interest, and triggering the invitation of Earth-Keeper and Metatron to the UN, as the story was told to us. We were invited to Russia to offer live teachings in Moscow. 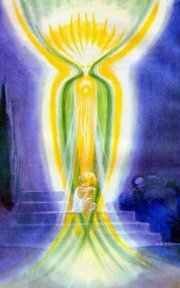 To assist the reader, this channel has been re-channeled [by Tyberonn and Archangel Metatron] and expanded, in order to provide an even clearer understanding. Often what takes place ‘ live ‘ has implied energy within it, which carries deep communication that the printed page does not. So enjoy this enhanced message given recently in New York City at the United Nations. sovereign BEING, discern this and any such ‘channeled’ messages. ask all of you to look at the world around you for just a moment. What do you see? Your media outlooks are reporting war, famine, disasters and economic collapse. . And what is broadcast is what is seen in 3d. It is oft full of gloom and doom, is it not? are absolutely on tract for that to happen. Period. for the roles you are playing in this organization. this room today must be leaders by example in this process. precisely because of the gradual shifting. It makes sense, does it not? made it so. It is time to let go of old energy, of FEAR. to SELF. You are a sovereign spark of the Divine. greater ability to responsibly create. much more is to come. That we assure you. of wisdom. We tell you that enlightenment occurs one heart at a time. illumination. So it is, so it must be with you here today. The gap between the ‘haves & have-nots’ is growing increasingly wider. planet is coming into power, and they will quicken the change. beliefs, rather their beliefs that shackle them to the burden of debt. what is to come. Rather it will be forced into change, drastic change, and positive elements will come forward to enable a better way. strength is not integral LOVE. 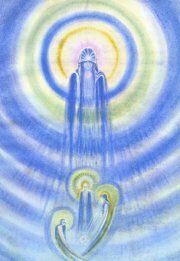 The changes the next 15 generations of humanity will make will create the flowering of the Ascension. turning wheels and changing the world. brute force are falling, one tyrant, one corrupt government at a time. the top, it will be summoned from the bottom, and mightily so. greed and cunning. Heart and love is the new energy, this is the new way, this is the new accounting. Governments cannot sit on thrones, and watch carelessly as their citizens struggle to survive. Nations of the first world are required to lift the third. gold or derogated into ineffectuality by lack of it. And what of the economy. Look at what has happened in the past 5 years. Dear Ones, Spirit is not short of cash. There is a means for all to have abundance. There is requisite for each soul to have the opportunity of life. system will morph into a different one in time . socialism will in time be realized, and in time prove the more tenable way. Life is about gain, but gain is not always about monetary profit. and you have and will in time experience every path along the road to the solution of sharing the planetary resources. As 2012 approaches, mankind is weary of war, but not enough are yet empowered to force their leaders to stop it. strategies designed to fill bank accounts and increase power reach. rise above it. Hating war will never end war. Loving peace will end war by creating peace. taking place. Could this be what is called the Ascension? And so what is this 2012 Ascension? What will happen in 2012? world will say nothing has changed. simply gives you more tools to work with. occur, one day at a time, one heart at a time. integrity, is the day you encompass Mastery, and indeed it is a journey. to nations as well, it applies in macro and micro. NOT FEAR. No true sacred expression limits its truth, its beauty to one grouping. your well-being. Respect and Nurture one another, and embrace LOVE. As a native of Arkansas , James Tyberonn grew up amidst the minerological wonders of his home state. He has hiked and canoed the entire area, as an avid outdoorsman. A graduate of the University of Arkansas he has worked over 30 years as a Professional Geological Engineer, and studied Gemology while living 7 years in Brazil. Arkansas is both stunningly beautiful, and an extremely rare geological wonder. Containing the only source of true diamonds in the USA, the largest singular deposit of magical quartz crystal in the world, natural magnetite, a network of natural caverns and radium bearing thermal springs in living waters. And Ancient Pyramids (Toltec Mounds State Park) . Something extraordinarily unique occurs when radium water, natural lodestone strata of magnetics and piezoelectric crystals combine…and they rarely do…occurring only in Arkansas. Did the Atlanteans know this? What does this mean? Join us at the 11-11-11 in the Crystal Vortex to see for yourself why Kryon channeled in 2002 that evidence of Atlantis was in Arkansas. 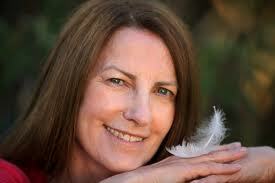 James Tyberonn has intensely studied metaphysics & spirituality of all genre for over 35 years. He lived & worked outside the USA for 30 years, speaks 4 languages, and began channeling Archangel Metatron and teaching in 2007. Filed under: 2011, 2012, America, Angels, Aquarian Age, Archangel Metatron, Ascended Masters' Teachings, Ascension, Bankers, Citizen Rights, Corporation of the USA, Dimensions, Divine Order, Divine Plan, Enlightenment, Full Consciousness, Government, Holistic Spiritual Growth, Legislation, Love, NEW AGE, Peace, Politics, Resurrection, S.E.A.T., Self-Knowledge, Socialism, Spirituality, United Nations, UPRISINGS, USA, War |	Comments Off on CHANNELING FROM ARCHANGEL METATRON PRESENTED TO THE UNITED NATIONS S.E.A,T. Nancy Detweiler, M.Ed., M. Div. The Hebrew words in this verse can be translated in a variety of ways, all of which enhance its meaning. Cease from labor, and experience God. Sit still, and perceive God. Rest, and gain knowledge of God. Rest from labor, and find out about God. Meditative prayer is different from the traditional concept of prayer, which is usually considered “talking to God.” Meditative prayer is attuning to God in order to view life through God’s eyes. During this meditative prayer, we can affirm perfect health, the perfect vocation or relationship, and the perfect unfolding of whatever situation concerns us. These affirmations (or positive statements) are made with the request that all be done in accordance with Divine Will and the highest good for everyone concerned. Meditative prayer recognizes the essential ingredient that Jesus taught in Mark 11:24: “Anything you pray for and ask, believe that you will receive it, and it will be done for you.” I would like to add another perspective to prayer. 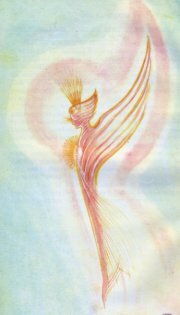 We see depicted in the Divine Self Chart multiple bodies combining to create our multi-dimensional being. Our lower self consists of the physical, etheric, emotional, and mental bodies. A measure of spiritual maturity is required in order to be consciously aware of our higher bodies, which include the Christ Self and the I AM PRESENCE. The Christ Self is also referred to as the Higher (or Intuitive) Mind and the Higher Self. The soul resides at the Christ Self level and our indwelling God is the part of our being called the I AM PRESENCE. Thus, in our entirety, we exist on seven ascending vibratory or dimensional levels. As we awaken spiritually, we attune gradually to the higher vibrations of our being. During prayer, most of us envision some type of entity to whom we are praying: God, Spirit, or a Higher Being. Though we may know better than to personify God as the “man upstairs,” we still tend to think of this Being as separate from us, even while we intellectually affirm “I am one with God.” We pray to “something larger than ourselves.” A new perspective would be to recognize that we are praying to parts of ourselves: our Christ Self and our I AM PRESENCE—the part of us that is God. The Christ Self acts as the mediator between the lower self and the I AM PRESENCE. Through our I AM PRESENCE, we are connected to all that is … we are one with God … we have access to the fulfillment of all our needs. God is a part of us; we are a part of God. For example: When we say, “there is no pain” … “there is no evil” … “there is no lack,” we are referring to the conditions on the I AM PRESENCE dimensional level. These statements of Truth reveal the potential for perfection that is ours as we attune to our Christ Self and I AM PRESENCE. They are not meant to lead us into denying the conditions experienced on the vibratory level of our physical, emotional, and lower mental (intellectual) bodies. The lower mental body signifies our Intellect, which seeks tangible, visible proof on the physical plane. The Higher Mental body is our Intuition, which knows Truth because it is attuned to the 5th or higher dimensions of perfection and enters our knowing through one of the higher chakras: heart, third eye, or crown chakra. WARNING: Intuition is not to be confused with a psychic capacity. 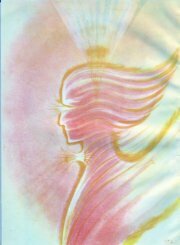 Many psychic experiences can come from the astral plane through the solar plexus chakra. The astral plane is not a plane of perfection and many misguided messages can come from this plane. The physical, emotional, and lower mental states of humanity are our instruments for spiritual evolvement. They allow us to learn the arts of forgiveness, self-discipline, using our freewill to choose the Good, compassion, and selflessness. It would be a much slower process to learn these skills in a paradise world. That’s why Adam and Eve left the Garden of Eden. They, as representatives of Earth’s humanity, chose to know both good and evil—to reside on the plane of duality. Humanity would now evolve into gods and goddesses by learning to live in the world with all its temptations, while choosing only the Good. In this manner, we become gods and goddesses via our own freewill choice and self-discipline. We develop our capacity for wisdom, power, and love through the process of trial and error. 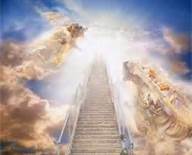 We undergo the initiations of Jesus, a Wayshower, as revealed in the article entitled Ascension at: http://www.pathwaytoascension.com/ascension.html Otherwise, the human kingdom would be like the angelic kingdom. Charles Fillmore describes this process of becoming gods and goddesses in his chapter on “Reincarnation” in The Essential Charles Fillmore. “Life is continuous and in harmony with the wholeness of Being only when it is expressed in a perfect body; hence man must have a body in order to gain an abiding consciousness of life. Through repeated trials at living, man is finding out that he must learn to control the issues of life in his body …. The personal man with all his limitations, all his relations, must give way to the universal, the Christ man.” Thus, to attune to and affirm perfection does not mean that we deny physical plane limitations; but that we strive to lift our consciousness to the level of perfection and learn to manifest that perfection in our physical plane lives as Jesus did. How did Jesus do so? Read the four gospels: Matthew, Mark, Luke, and John. We find Jesus fulfilling the prerequisites detailed in the various translations of “Be still, and know that I am God.” He separated from the crowds and his disciples and spent time alone, attuning to the vibration of his I AM PRESENCE or, in his words, “the Father within me.” He spent entire nights in meditative prayer. We, too, are to fulfill the prerequisites of prayer and meditation. We are to cease our labors. The western culture exalts the type A lifestyle with its frenzy of constant activity. Society teaches us: successful persons live a busy life. How else can we be successful? How else can we fulfill the myriad requirements placed upon us by the various roles we play? Jesus did so by ceasing his labors, leaving the crowds of people clamoring for his attention, and spending time in meditative prayer. We are to rest, to sit still. 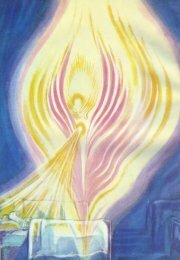 Even though Brother Lawrence’s concept of “practicing the presence” is a marvelous tool for spiritual attunement, the Psalmist is indicating something different. To rest or sit still means to set aside everything else and “be still.” On the seventh day, God rested … God created the Sabbath for a day of rest. This period of rest is an integral part of the cycle of creation and life. It is the time that culminates in completion. The number vibration of seven signifies completion. In other words, when we omit the Sabbath—meaning regular periods of rest or being still and attuning to God—we fail to complete our purpose for incarnating on the physical plane of duality. Our activity on the physical plane is to realize completion by sitting still and resting within the energy of our I AM PRESENCE. We are replenished and healed as we attune to that level of ourselves that abides in perfection and love. It is within this energy that we receive the answer to all prayers. Herein, we assimilate perfection so that we can manifest it within our daily lives. We are to repent, meaning to do an “about-face.” We are to turn from involvement in the world and to look toward our I AM PRESENCE. For it is only as we concentrate our attention on our I AM PRESENCE that we can accomplish the remaining imperatives put forth by the Psalmist. In the quietude of resting and sitting still, we are to experience God. Again, I find the diagram of our Divine Self helpful. 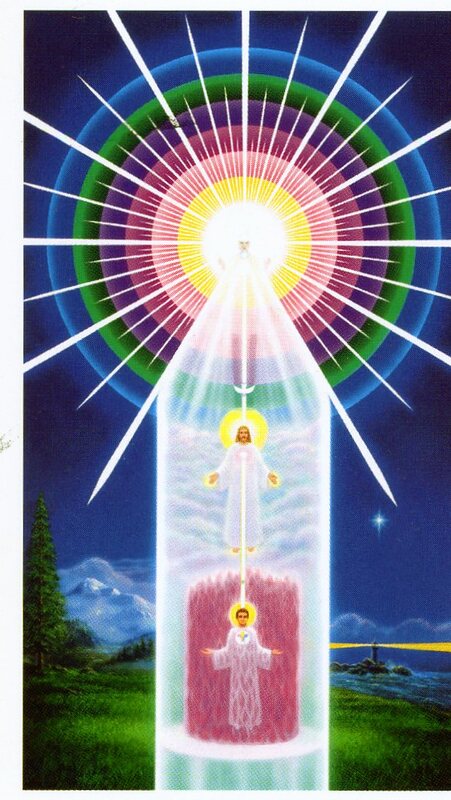 Although our seven bodies are actually interpenetrated rather than stacked one on top of the other, it is informative to visualize in meditation the cord of light extending downward from the I AM PRESENCE, thru the Christ Self, and into our lower bodies through the crown chakra. In this manner, we begin to get a sense of our entire being. We experience God as part of ourselves when we lift our consciousness to the I AM PRESENCE level, if only for a split second. “Be still, and know that I am God” can be read metaphysically as: Be still and know your I AM PRESENCE. The Hebrew word translated to know can mean to know on an intimate level physically. To know our I AM PRESENCE intimately is to merge consciously with our indwelling God. As we merge our lower being with our Higher Being, we experience God. We can begin to view life from God’s perspective. Often, what we realize is that the very situations in our lives that we are resisting are the vehicles for our greatest growth. With this insight, we can stop resisting the situations and see within them the perfect unfolding of Divine Order. We realize that what appears to be imperfection on the physical plane can be the perfect vehicle for our spiritual growth. For example: Charles Fillmore appeared to lack a perfect physical body. One leg was shorter than the other. However, this appearance of imperfection ended up being the perfect means for urging him to merge with his I AM PRESENCE and to bring the consciousness of a perfect limb into his physical plane awareness. As a result, Fillmore increased the length of his leg by several inches. This healing of self led him into the establishment of a healing prayer ministry that is now known throughout the planet as Silent Unity. Thousands of persons have received healing. What appeared as imperfection on the physical plane was, in actuality, the perfect vehicle for the creation of the Unity Movement. The avenues for perfection may surprise us! We are to gain knowledge of our I AM PRESENCE. As we sit in meditative prayer and experience our I AM PRESENCE, we come to know that we are connected to all that is. We can pray for others by merging our conscious awareness with our I AM PRESENCE, then allowing our attention to expand into the I AM PRESENCES of those for whom we are praying. As we sit still at this level of perfection within ourselves and others, we can then affirm perfection manifesting within the physical and emotional bodies of all concerned. We see and feel that perfection. Our prayers are answered as we concentrate on the perfection that already exists within all of us. The I AM PRESENCE can know only perfection. Therefore, at this vibratory level of our being, perfection is all that is. Rest from labor, and find out about God becomes an exciting adventure is self-discovery. We are the Being to whom we pray. We are the answers to our own prayers. 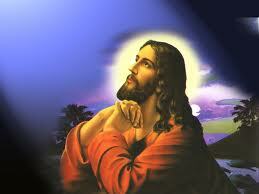 “After this there was a festival of the Jews, and Jesus went up to Jerusalem. Now in Jerusalem by the Sheep Gate there is a pool, called in Hebrew Bethesda, which has five porticoes. In these lay many invalids—blind, lame, and paralyzed. One man was there who had been ill for thirty-eight years. When Jesus saw him lying there and knew that he had been there a long time, he said to him, ‘Do you want to be made well?’ The sick man answered him, ‘Sir, I have no one to put me into the pool when the water is stirred up; and while I am making my way, someone else steps down ahead of me.’ Jesus said to him, ‘Stand up, take your mat and walk.’ At once the man was made well, and he took up his mat and began to walk. SETTING: The setting for this story is Bethesda, a pool in Jerusalem with five porticoes, or porches. The sick lie around this pool waiting for the angel of the Lord to appear and stir up the water. They believe that the first person to step into the water, after the angel has stirred it, will be healed. In Hebrew, Bethesda means “house of healing.” Metaphysically, Bethesda symbolizes that point in our conscious awareness when we begin to feel Spirit flowing through us, cleansing us of our impurities. Metaphysically, the five porches represent our five earth plane senses. Thus the setting reveals that the sick lying on the porches are still attuned to their five senses, rather than to the ever-active healing power of God residing within them. There are several ways in which their thoughts are imprisoning them in this pattern of dis-ease. 1. They are waiting. Anytime we orient our lives into a mode of “waiting,” that is what we create—waiting. They are waiting for something outside themselves to appear and heal them. They believe in limitation. Only one person will be healed—the one who is first to step into the stirred waters. You and I also sit around the pool of Bethesda. How recently have you said, “I am waiting until …” in reference to a major goal in your life? To what person or event outside of yourself are you looking for healing? … for that feeling of completeness? … for the courage to move forward with your life? What factors in your life do you view as limiting your possibilities? In what ways do you consider yourself to be a victim? … a victim of lack? … a victim of habit patterns? … a victim of illness? JESUS APPEARS AT BETHESDA: The physical location of the story reveals an opportunity for each of us to life our consciousness to higher levels. Jesus symbolizes the healing power of God dwelling within each of us. Jesus chooses to speak to a man who has been ill for 38 years. In numerology, 38 reduces to the number vibration of 11, telling us that this man is now approaching self-mastery. He is ready to be healed by his own indwelling God presence. He is ready to lift his conscious awareness above the physical plane of his five senses. He is ready to be made well. This is an extremely important question that each of us must ask of ourselves: “Am I ready to be made well by my indwelling God presence?” Until we are ready to be healed, healing can actually be disruptive to the soul’s progress – or – healing will not occur because dis-ease contains a pay-off for us that is greater than the perceived pay-off of a healing. For example: A person who uses illness to gain the attention and caring of others may find the possibility of a healing to be frightening. If so, this person will resist the healing. Or, if a particular dis-ease is healed, with no shift in the consciousness level of the patient, another dis-ease will soon manifest. All true healing is founded upon a change in consciousness—a turning to the God within. An affirmative answer to Jesus’ question, “Do you want to be made well?” is therefore essential. THE MAN ANSWERS JESUS according to his sense perception, which renders him a victim: “I have no one to put me into the pool.” Viewing life through his five senses, the man sees himself as helpless in the face of deprivation and limitation. Though he is ready to be healed, he is not yet aware of the healing power lying latent within himself. But Spirit is stirring within him. Jesus’ question meets a receptive soul, open to the possibility of healing. Are you open and receptive to divine order unfolding in your life? Are you ready to be healed of the error thought, painful emotion, or physical dis-ease that holds you prisoner to life as seen through the five senses? JESUS DOES NOTHING; INSTEAD, HE SPEAKS THE WORDS OF HEALING BY THROWING THE RESPONSIBILITY FOR ACTION BACK ON THE MAN: “Stand up, take your mat and walk.” The man is healed as he takes action. A tremendous shift in consciousness had to take place in order for a man who has waited by the pool for 38 years to stand up and walk in obedience to Jesus’ command. No longer is he waiting … no longer is he allowing thoughts of deprivation and limitation to imprison him in a diseased body … no longer is he expecting someone or something outside himself to perform the healing … no longer does he consider himself to be victim. He takes action in response to an inner urging of Spirit. He, like each of us, has the inner power to respond to Spirit by taking physical plane action in the very areas that have heretofore held him prisoner. He has believed himself to be unable to walk—he gets up and walks. In the case of physical healing, Charles Fillmore (co-founder of the Unity Movement) reminds us that physiology describes the blood corpuscles as little batteries, each with a negative and a positive pole. If these batteries are filled with the positive life force, they constantly electrify the body. But if, through the power of our thoughts and words, we affirm the negative or our dis-ease, we rob these batteries of their natural electrifying energy. We slow down their vitality by giving them an element of negation. To hold negative thoughts in the mind is to stamp negation on the body. To demonstrate perfect health, we must plant the knowledge of that perfection in our minds and body. We must be attuned to the constant influx of Spirit establishing equilibrium within our bodies, independently of the traditional healing modalities of our culture. Those persons waiting around the Pool of Bethesda were imprisoned by their faith in a traditional healing modality outside themselves—the stirring of the waters by an angel. Lest anyone misunderstand, neither the Bible, Fillmore, nor I are recommending ignoring traditional medicine. We are stating that the true source of all healing is within us in the form of our indwelling God presence. It is as we attune consciously to this presence of Spirit that we are truly empowered to stand up, take our mat, and walk as a person healed of all dis-ease. Fillmore defines sin as “wrong thinking,” the belief in two powers—good and evil. When Jesus warns the man not to sin any more, he is encouraging him not to allow himself to resume giving attention to the negative, not to once more focus on thoughts of limitation or dis-ease. Then Jesus makes a curious statement, “so that nothing worse happens to you.” In essence, Jesus is saying to the man, “if being healed after 38 years of negative thinking does not transform your conscious awareness, then something even more traumatic will be required to get your attention. The same problem will repeat itself until we allow the Christ Consciousness to heal us completely—to move us beyond any tendency to revert to negative thinking or to be imprisoned by beliefs based on a perception of life through our five senses. As we seek healing, we are to concentrate upon the flowing of the Spirit throughout our bodies, our minds, our emotions, and our lives. We are to remember that through the power of God all things are made right and good. We are to recall that God is Love, God is Good, and that God is all that is. There is only one power in the universe. All else is illusion, based on wrong thinking. Belief in this One Power is our true source of healing and transformation into the Christed individual we are all to become. Then, we too will possess the capacity to stand up, take up our mat, and walk as Christed beings! Filed under: 2011, 2012, Angels, Ascension, Bible Study, Christian, Divine Order, Divine Plan, Enlightenment, Forgiveness, Full Consciousness, GOD, Healing, Holistic Health, Holistic Spiritual Growth, Illness, Jesus, Karma, Love, Metaphysical Bible Study, Spirituality, Suffering, The Law of Attraction |	Comments Off on DO YOU WANT TO BE MADE WELL?